Do you ever find yourself wishing you could have more Kiss on your mobile device, but in ways having less to do with music and more to do with destroying a demon invasion that threatens the world? Well, now there’s an app for that. What does this have to do with Kiss? Not much, admittedly. 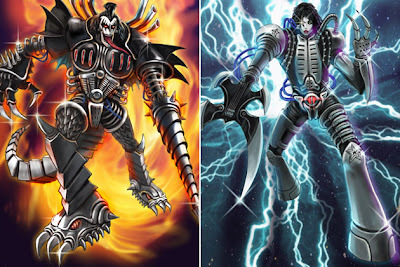 But that hasn’t stopped the band from giving Sega permission to create a pair of “rare demons” based on Paul Stanley and Gene Simmons, which you can earn by completing a tutorial and “[sharing] the exciting launch of ‘Demon Tribe’ to your Facebook or Twitter profile from within the game!” To download the game to your device, just follow this link. Somewhat surprisingly, given their eagerness to stamp their likenesses on all manner of unlikely products, Kiss have been relatively inactive on the video-game front; the ‘Demon Tribe’ deal represents the band’s first foray into gaming since 2000′s somewhat infamous ‘Psycho Circus: The Nightmare Child,’ a first-person shooter in which a Kiss tribute band battles with newly acquired superhuman powers.